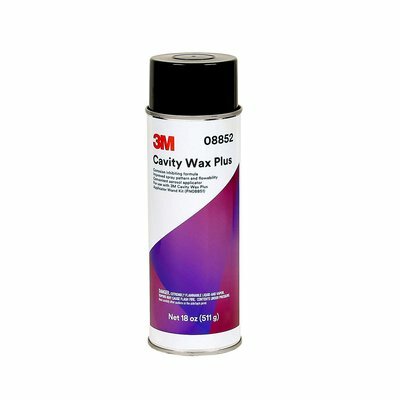 3M™ Cavity Wax Plus Applicator Wand Kit 08851 allows body shop technicians to apply 3M™ Cavity Wax Plus in hard-to-reach places such as internal door skins and frame rails. The kit includes 24” and 34” wands with built-in 360-degree spray nozzles, and an 8” wand for flooding seams. Cavity wax is part of the internal corrosion protection recommended by all OEMs during automotive collision repair. To help protect the internal spaces and pockets of a vehicle, our 3M™ Cavity Wax Plus Applicator Wand Kit helps body shop technicians apply 3M™ Cavity Wax Plus 08852 to hard-to-reach locations such as frame rails, door cavities, lift gates and rocker panels. The wand kit consists of three small-diameter wands in 8", 24" and 34" lengths. 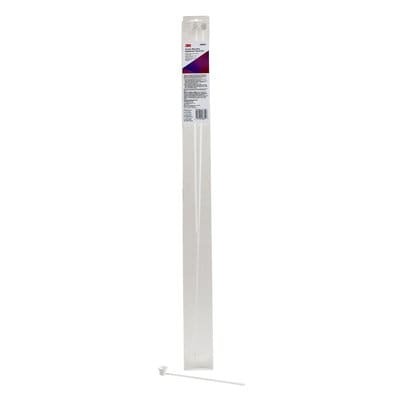 The 8" wand delivers a powerful stream of cavity wax to flood and seal joints. The 24" and 34" wands feature integrated spray nozzles which deliver the cavity wax in a uniform 360° spray pattern to ensure consistent coverage on all sides of an enclosed space. The wand kit helps you apply Cavity Wax Plus to all sides of internal rocker panels, dog legs, frame rails and other concealed places, and provides the correct flow and wicking for consistent and uniform protection. Each wand has an actuator which fits directly onto the Cavity Wax Plus spray can. The 3M™ Cavity Wax Plus Applicator Wand Kit is very easy to use and to incorporate into your standard shop processes and procedures. No collision repair shop can replicate an OEM corrosion protection process (zinc phosphate baths, degreasers, DI water, heat-cured primers and sealers etc.). Also, the repair process itself — grinding, welding, heating or removal of protective coatings — can easily compromise OEM e-coats and create chances for corrosion. When inner pockets and spaces of a vehicle go unprotected during collision repair, rust and other corrosion can develop and grow unnoticed. Inner cavities are also more likely to trap moisture that can encourage the development of corrosion, which can spread and cause serious damage to the vehicle and possibly the shop's reputation. With passenger vehicles increasingly staying on the road longer and heavy duty trucks often exceeding 1 million miles, it's especially important to incorporate effective corrosion protection into your repair process. 3M recommends applying three coats of 3M™ Cavity Wax Plus for adequate internal corrosion protection. In fact, all OEMs recommend the application of internal anti-corrosion material during body repair, which includes cavity wax. 3M™ Cavity Wax Plus 08852 (sold separately from the wand kit) is a self-healing, corrosion protection spray for inner body panels, frame rails and structural enclosures in automotive bodies. We formulated this product to flow, wick and provide uniform protection to repairs. Our product can access inner body structures with tight tolerances and eliminates the need to use messy bulk sprays. Our cavity wax may be used on all substrates for advanced protection and meets OEM standards for vehicle repair. 3M is constantly developing new ways to apply science to the lives of professionals in a range of industries including collision repair. Our 3M™ Cavity Wax Plus 08852 and 3M™ Cavity Wax Plus Applicator Wand Kit 08851 are great examples — our decades of knowledge in adhesives, coatings and protectants in easy-to-use spray components. The result: products that help you quickly and efficiently meet the recommendations of collision repair industry organizations and critical OEM specifications for corrosion protection in vehicle repair.